Below are a few articles we’ve written over the years that might be of interest. If there is a yoga/BYC topic you would like some more information on then check out our FAQ page. Still can’t find it drop us an email at studio@bychotyoga.co.uk. Hot Yoga In Hot Weather = YES! Tennis & Bikram Hot Yoga = Perfect Match! Hot yoga in hot weather…YES! Below are two articles on why hot yoga is perfect whatever the weather, even when it’s hot hot hot! Bananas right?? No! There are many wonderful benefits to practising your yoga during the hotter months and we are going to tell you why. The beauty of hot yoga is the heat, helping you to work safely, as the m uscles, fascia and connective tissues become more elastic, allowing for greater flexibility with less chance of injury. Coming from a colder climate into the hot room, can often take time heating the body up, to allow the yoga magic to happen. However, when the temperature is hot outside, our bodies are already more on the journey. Also, as you are leaving your hot yoga class, it can actually feel cooler outside! If you are a regular practitioner, you may even find that the weather outside becomes more manageable. You have worked so hard throughout the Autumn, Winter and Spring months on your yoga practise/journey look how far you have come and all you have achieved. The fun has only just begun! Your muscles, ligaments and joints are nicely warmed prior to class in the hotter months, so your body is likely to be more flexible, allowing you to go deeper in your practise. Just think of the breakthroughs you would be missing out on! Keeping our yoga routine going throughout the summer, means come September, there is no yoga hill to climb to get back to our spring fitness. Plus all that summer indulgence of ice cream, Pimms, strawberries and cream, BBQ’s and such are basically guilty free, right?!?! It’s all about balance, we do the good (yoga), so we can get away with the bad (whatever your summer sin maybe). In hotter months, hydration is vital and being hot yogi practitioners, we are used to fuelling our bodies with electrolytes and water that we lose through sweat. You’ve done the prep…so why not the practise! “Exercise is important and crucial for weight loss, but not only because it helps you to burn calories. About 80 percent of your ability to achieve an ideal body weight is related to your food choices, and new research shows that exercise may make it easier for you to make healthy food choices.” Dr. Mercola. In summary, research has shown that exercise helps your brains executive functions, like inhibitory control, making it easier to choose healthy foods and not simply down a gallon of ice-cream for breakfast! It has also been shown that regular exercise make your brain more sensitive to signs that you are full. So when it’s win, win, win; why would you give up your mat for your sofa or the pub?! It’s only an hour and a half, then you can go about your summer business guilt free. As your body adjusts itself to the warm temperatures inside a hot yoga class, you may find that you can handle the temperature outside easier, and maintain a longer endurance in other sporting activities: i.e. running, tennis, cycling etc. Not only that, but the strength and flexibility that you gain from your hot yoga practise, will help aid your other sporting pursuits. Hot weather can often leave many of us feeling tired and sluggish. We want nothing more than to chill in the park or have the summer sun beating down on our face, that we often neglect our physical health and forego exercise. We know that exercise gives us energy, keeping our bodies and mind active, warding off fatigue. So take some time out of your day for you and your practise, so that you may enjoy your ‘relaxing’ time thoroughly, guilt-free. – Stay hydrated, replenish your electrolytes. – Eat well. Make sure you are giving your body enough fuel before and after class. -Be kind to yourself and listen to your body. Yes the heat is wonderful, but be mindful of your body’s personal edge and avoid pushing to hard. You want to nurture not injure your body. Hot Yoga makes a Hot Day Hotter! Hot day, hot yoga – might not be the first combination that comes to mind, however, while it may not be the first, they definitely are a winning combo. Here are 6 reasons why BYC hot yoga should be a part of your Summer (Autumn, Winter & Spring) routine. Come rain or shine, heat or chill, one of the many wonderful benefits to a regular BYC hot yoga practice is its wonderful way with your injuries. Whatever your extrayogic activity of choice might be, from running, the gym, judo to HIIT, beach volley ball to water-polo, BYC Hot Yoga is the oil to your joints, the spring to your step. We will keep you primed and able to continue these pursuits. If you are currently working through an injury, please check with your medical practitioner that you are ok to participate in BYC hot yoga and speak with your teacher prior to class. Summer is a wonderful time full of festivals, BBQ’s and holidays. The kids are off school and we ‘treat’ ourselves to all those yummy indulgences, that we might usually avoid in our healthy day to day. Pimms have fruit in it, so its basically a health drink right? However, life is too short to live in a permanent state of denial and as the great Oscar Wilde says, ‘everything in moderation including moderation itself’. It is important, however, to make sure these little lapses do not become a permanent life style change. We do the good, so we can do the bad. So make sure you keep your yoga up. We release 99% of our toxins through our liver and kidneys & 1% through sweat (although we would love someone to do a study on BYC hot yogis… have they seen how much we sweat?!). flush out unwanted toxins, fats and waste. Summers are for fun, but when the temperature rises, sometimes our stress levels do too. The tube is packed and delayed, the kids are off school, everyone is on holiday and your left to run the show. Remember to take that 90 minutes for yourself, on your mat at BYC and let that stress melt/drip away. The concentration demanded by the challenging environment and postures, push us into the present moment and take us away from those pesky stressors, allowing us a to find focus and calm in the here and now. ‘If exercise were a pill, it would be one of the most cost-effective drugs ever invented.’ says Dr Nick Cavill, a health promotion consultant. However, Summer roles around with all its fun and our exercise routine falls by the waist side. If we fall out of our routine: a day, a week, a month can go by and we haven’t exercised. Exercising is one of the most important things we can do for our minds and bodies. Nothing and no one should come between you and your BYC hot yoga! Keep your routine, make a new routine, make it to class. Your body and mind will thank you today, tomorrow and beyond. If you want the magic you have to put the time in. Summer is the season of the dreaded (for some) beach wear. The trick to an awesome beach body; take your body to the beach and be awesome. For some of us this is easier said then done, so lets build that confidence together on the mat. We have one life and one body to live in. A healthy diet, regular exercise and a positive self attitude, is the how we get there! Be kind to yourself, you are amazing. As cheesy as it may sound, you are! Lock that knee, engage that core, put down those white carbs and pick up the complex ones. No one said it was easy, but is anything that is worth having? The best thing is you are not alone. We are all here sweating together, whatever our goals: to heal our injuries, loose some pounds, free our mind or build our confidence, we are all on a journey together! 6. Consider yourself a weather Chameleon. Keeping your BYC hot yoga practise up during the warmer, more humid months, helps you cope and acclimatise outside the room as well as in. Firstly you will be surprised at how you may acclimatise quicker in the yoga room, as you are already warm and your body has less of a distance to travel to heat up, as in the winter months. You also take this knowledge out into the world, while others are stifling on the tube. You are breathing through the heat, a master of your own calm. While all around you in the office are struggling under the weight of a hot summer day, your breeze is calm and collect. They should try a BYC hot yoga class! Bikram Yoga (or any yoga for that matter)! Wasps Rugby Team Getting their BYC on. We’ve all heard that old adage “Yoga is for girls”. We question whether anyone who says that has ever actually tried it! As any BYCer knows, yoga is for all! Yoga, itself, comes in many wonderful and varied forms, and is an amazing way to bring unity and balance to our body and minds, whoever you may be. While we love yoga in all its forms, our specialty here at BYC is obviously hot Bikram Yoga and we can tell you that it will rock your world, whoever you are! Over the years we have had everyone and anyone come though our doors. 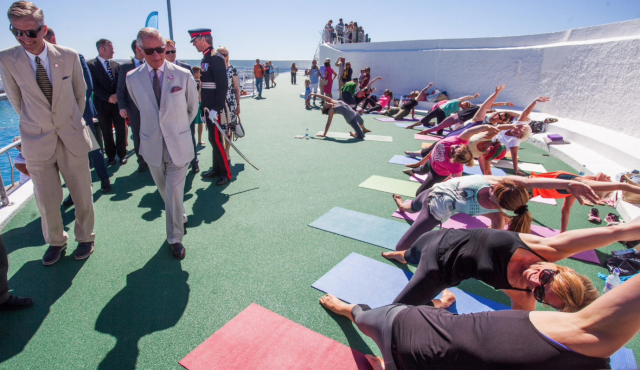 The beauty of the yoga is that it is for everyone: ballet dancers, professional rugby players, gymnasts, footballers, tennis pros, golf pros, coach potatoes, teachers, bankers, Olympic athletes, models, actors, mums. All sweating, learning, growing and focusing together. With June seeing major events in both Rugby & Football, we thought we would look a little further into what BYC Hot Yoga can offer these sports women and men -professional to Saturday/Sunday leaguers. 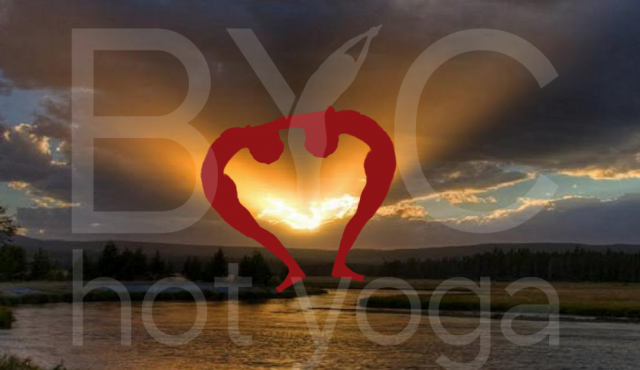 BYC Hot Yoga is here to enhance and prolong your career. English Rugby Union & Former Wasps Player Tom Vardel perfecting his Triangle pose – now playing for Bristol Rugby. For you footballers among us, you are in good company. David Beckham and Ryan Giggs have both been reported to have used Bikram yoga to help the longevity of their careers, both mentally and physically. When Ian Baraclough took over Motherwell FC he made his team take up Bikram yoga as a trick to keep them injury free. A BBC article, about the multitude of sports men and women who have taken up Bikram hot yoga as an important tool in their training, reports: “A lot of athletes are turning to Bikram yoga because it undoes the wear and tear.” Michele Pernetta, who has 23 years teaching experince and owned 4 bikram yoga studios, before she launched her own hot yoga Fierce Grace, told BBC Sport. However benefits to BYC hot yoga are not solely physical, as any Bikram yogi/ini can tell you, BYC hot yoga also helps control the breath, improve focus and calm the mind. So, whoever you are, whatever your goal, get in the room and see what BYC hot yoga can do for you today! Serena Williams, who t he Women’s Tennis Association has ranked world no. 1 in singles on eight occasions, from 2002 to 2017, is also a devout Bikram Hot Yogi! Serena told Star Magazine in the US. It is reported that Serena incorporated Bikram hot yoga into her training routine to improve her flexibility and to aid injury recovery, while staving off further injuries. 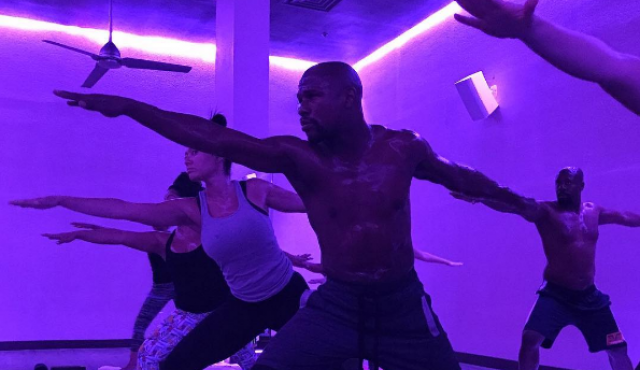 Serena added Bikram Hot Yoga to her training many years ago and never looked back. Andy Murray is currently ranking number 1 in the world… And what does the worlds number 1 and you have in common… Yes, you are both Bikram Hot Yogis! Bikram Hot Yoga isn’t just great at warding off injury, it can also be a vaulable tool in the healing process. When BYCer & avid climber Garry developed Tennis Elbow he turned to his yoga…. “Around 4 years into climbing, my elbows started to give up on me and I developed climbers/ tennis elbow. For those of you who have never suffered with this, all I can say is, it hurts! It makes even small day-to-day chores very painful. Thinking of taking up tennis this summer, stay one step ahead of your competitors and, like the worlds top players, add BYC Hot Yoga into your life! 1 – Hydrate Be hydrated: this does not mean down a litre of water just before going in the room. You want to try to be drinking a minimum of 1.5 litres of water everyday and make sure you are getting electrolytes as well. 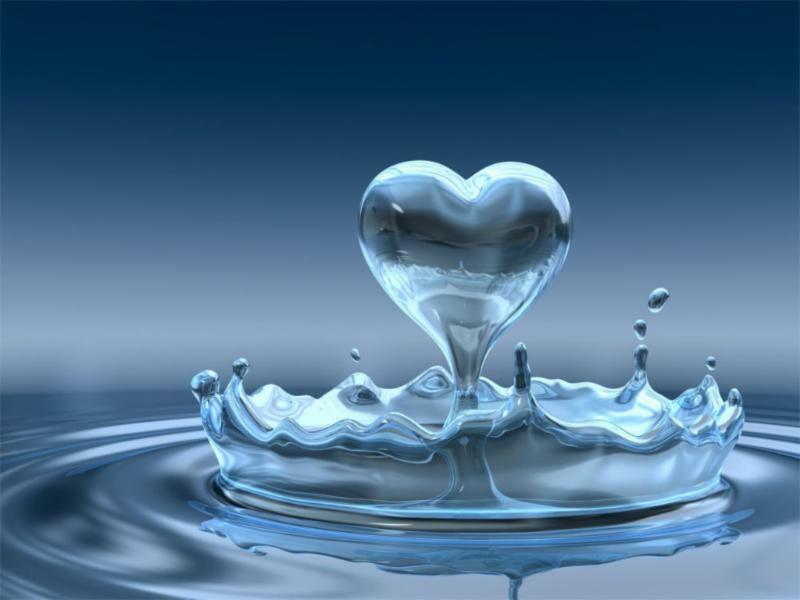 For more information on hydration and hot yoga CLICK HERE . 2 – Eat Your body needs fuel for a good class. There is always a delicate balance to be drawn between when to eat and how much, in order to have a great class without feeling nauseous from to much or to little food. Everyone is different and we may need some trial and error before finding out perfect pre yoga meal and meal times, but one rule of thumb – never come to class on a empty stomach. For more information on food and hot yoga CLICK HERE. 3 – Be still Between postures during both the standing and floor series, stillness is key. Leave your sweat, it you wipe it away, it will just come back. Try not to fidget, play with your yoga clothes, your hair etc. The stiller you are the quicker you will recover between postures. Also this is the time for your body to reap the immediate reward from the posture you have just practised, don’t cheat yourself. 4 – Listen Everything you need to know is in your teachers words. It may take 1 class or 100 to hear it but we promise it is all in there. 5 – Breathe Keep breathing in and out through your nose for the entire class (obviously apart from the two breathing exercises that bookend your class). Do not hold your breath while you are in posture. Do not breathe quickly in and out through your mouth. Neither of these are conducive to a good class, in fact you are making life a whole lot tougher for yourself. If you find you are holding your breath in postures and then fighting to catch it after, don’t go as deep into your postures. Recover your breath and work from there. Once you have your breathing down you will fly. Too attached to ‘your spot’? Please always be mindful of your fellow yogis when claiming a spot for class. Before laying your mat down in that special spot you desire, please check around you and make sure you are not directly in front of anyone, or very close to someone on either side of you. Obviously, in very busy classes, your options may be limited, but it should always be possible to position your mat so the person or persons behind you can still have a view, even if it is partial, of themselves in the mirror. Please do not fear the middle of the room. It’s tempting to hug the corners of the room, as though the middle of the room is made of molten lava! 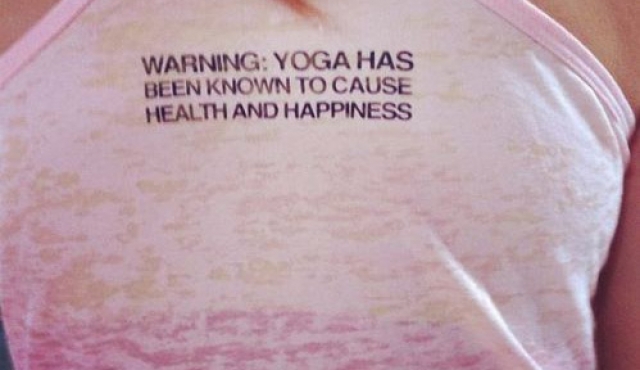 We promise it isn’t.Yoga is about freeing our mind and letting our worries go. Every spot in the room is as amazing as the next. Next class, try a different spot and, who knows, you may surprise yourself. Letting that fixation on a specific spot go, will help you move your mental yoga on to the next level.If someone comes into the room and puts them self down directly in front of you, please do not let it steal your peace or invoke mat rage. Often, new people to the studio simply are not aware of the yoga etiquette yet, so always feel free to speak to a member of the BYC team and we will be happy to spread the message of peace, love and mat etiquette. BYC Hot Yoga can be a wonderful addition to many training routines from runners to martial arts, dancers to body builders. From keeping you flexible to warding off and assisting the healing of injuries*. It is an awesome addition to your training regime. As this month is Marathon month, let’s look into more details how BYC Hot Yoga can help you runners. One of the most common conditions runners are prone to is called ‘Runner’s Knee’. This is the irritation of the cartilage on the underside of the patella, aka kneecap. BYC Hot Yoga can help strengthen your quadriceps, improving patellar tracking, as well as stretching your hamstrings and calves, preventing over-pronation. Our body works as a unit, so as well as strengthening and stretching all the muscles around the knee, it is important to also strengthen weak hip and glute muscles, to help ward off runner’s knee. Awkward, Triangle, Camel, Standing Separate Leg Stretching and Tree Pose (to name but a few) are all great postures to help with this. If you have already been struck down, then, initially, some post run PRICE (Protection, Rest, Ice, Compression & Elevation) should help with the early stage of pain relief. If symptoms persist, always consult your GP. The BYC heat and stretching come into play as the injury starts to heal. We have plenty of postures to flush that knee with fresh oxygenated blood, helping to heal and repair, ready to pound those pavements again in no time! However, it is important to always listen to the feedback of your own body. Never push into anything that is painful. Just because everyone else is doing something and it looks fun, doesn’t mean you have to! Sometimes our yoga is as much about what we don’t do as what we do. There is almost always a degree of the posture that we can do, be it 1% or 100%, find that place, give it your all and the magic will happen. Runner’s knee is unfortunately just the first of a long list of injuries runners are prone to, such as Achilles Tendinitis, Hamstring Issues, Plantar Fasciitis, Shinsplints and Iliotibial Band Syndrome (ITBS). However never fear, BYC is here! The 26 postures of a BYC hot yoga class, systematically strengthen and stretch your entire body. The yoga improves your alignment, therefore, when running, any imbalances won’t be exacerbated, or cause injury. Injuries are often a result of our body compensating for our misalignment, at BYC we aim to correct these misalignments, hopefully, before the damage is done. 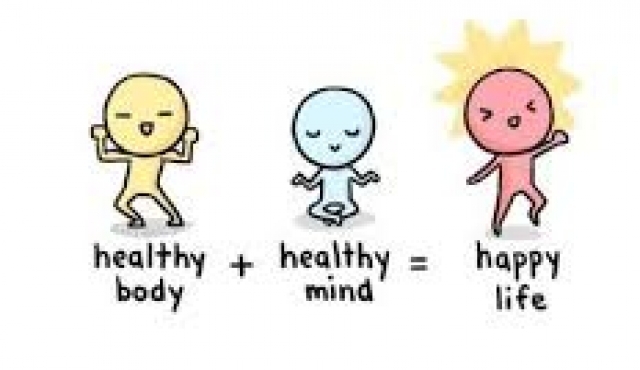 Whatever your sport of choice, BYC Hot Yoga is here to keep you going mentally and physically. So we will see you on the mat!! 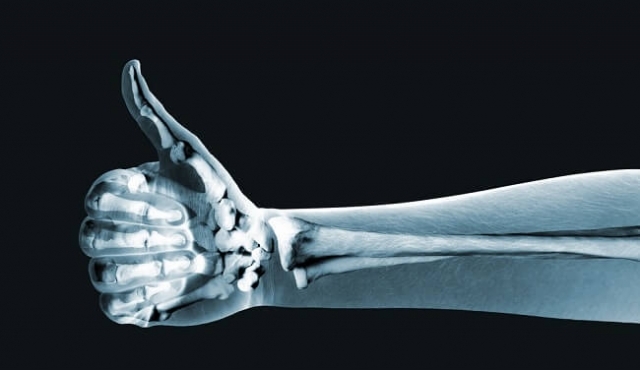 *If you have an injury we would always recommend consulting your doctor. BYC is a shoe free zone. We ask that everyone visiting the studio leave their shoes at the door to keep dirt, germs, toxins and bacteria that live on the soles of our shoes out of the studio. A study undertaken by the University of Arizona in 2008 found 9 different types of potential infectious bacteria live on the soles of our shoes…!As we are all shoeless in the studio, it is crucial for us all to maintain good foot hygiene. If you are suffering from verrucas, warts or athletes foot, we ask that you treat the issue immediately and, whilst doing so, either wear protective socks around the studio and flip flops into the shower or that you do not come in to practise until the issue has resolved. A wonderful natural remedy for verrucas is Apple Cider Vinegar. When using apple cider vinegar as a home remedy for anything, we would always recommend getting organic vinegar with ‘mother’. You will also need some cotton wool and medical tap/duck tape. Cut the cotton into small pieces, just a little larger than the verruca, and soak it in the vinegar. Secure it directly over the verruca and leave over night. Remove in the morning, letting the area dry, leave it alone during the day. Repeat until the verruca has gone. It can take up to 2 weeks. Tea Tree oil and Thuja can also be used. Tea tree and Apple Cider Vinegar can also be used to treat athleates foot. Tea Tree: Add 40 Drops of Organic Tea Tree Oil to warm water and soak your feet for 10 minutes. After soaking and thoroughly drying the feet, massage a few drops of the oil directly into the affected area. Tea tree oil has properties that will help destroy the fungus in heavily infested areas and deter it from spreading to unaffected areas. Apple Cider Vinegar: Soak your feet in 2 tablespoons of Himalayan Crystal salt and ½ cup Organic Apple Cider Vinegar solution mixed with some warm water. This creates a very acidic environment in which the fungus cannot live. You can also spray your feet or wipe them down with a cloth soaked in this solution after you shower, just make sure you get them completely dry afterwards. You can also wipe down the insides of shoes and sandals to help prevent the fungus from clinging there. If you would like any further information about BYC Etiquette CLICK HERE. 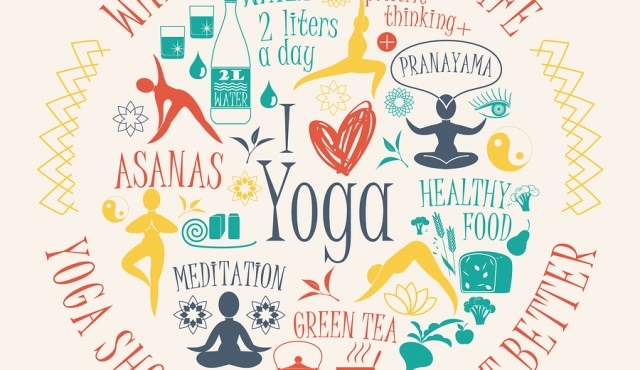 The power of yoga stretches across many mediums; improving strength, flexibility, fitness and self awareness to name a few, but did you know the impact it has on our mental health and our feeling of happiness? Happiness, it’s one of the ultimate life goals for many of us, but with life throwing so much at us, it is not always as easy as it sounds. So here are 5 top tips (based on medical research) to help us all achieve our happiness this year. 1 – Exercise i.e. Yoga! In the words of our very own NHS: ‘Step right up! It’s the miracle cure we’ve all been waiting for. It can reduce your risk of major illnesses, such as heart disease, stroke, diabetes, and cancer, by up to 50%. It can lower your risk of early death by up to 30%. Its name? Exercise.’ People who do regular activity have a lower risk of many chronic diseases, such as heart disease, type 2 diabetes, stroke and some cancers. If this isn’t enough to make you happy in itself…. Research has shown that physical activity can also boost self-esteem, mood, sleep quality and energy, as well as reducing your risk of stress, depression, dementia and Alzheimer’s disease.’If exercise were a pill, it would be one of the most cost-effective drugs ever invented.’ says Dr Nick Cavill, a health promotion consultant. Many people feel like they simply do not get enough sleep. Whether we are fully fledged insomniacs, troubled sleepers, stressed or just simply parents, lack of sleep seems to be a major issue in modern life, but how much sleep do we actually need? The National Sleep foundation say the amount of sleep we need is dependant on our age. As well as adding more BYC hot yoga into your routine, here are five top tips for getting a good nights sleep complied by Medical News Today CLICK HERE. This may sound obvious but what you eat can effect your mood. I think we all already knew this, but whether your a mountain person or a beach person, from forests to oceans and all the beauty that nature has to offer, has been found to make us happier. A study undertaken by University of Essex found that taking a walk in nature reduced depression scores in 71 percent of participants. (Click here for more) A similar study undertaken by Stamford University came to the same conclusion. (CLICK here for more). 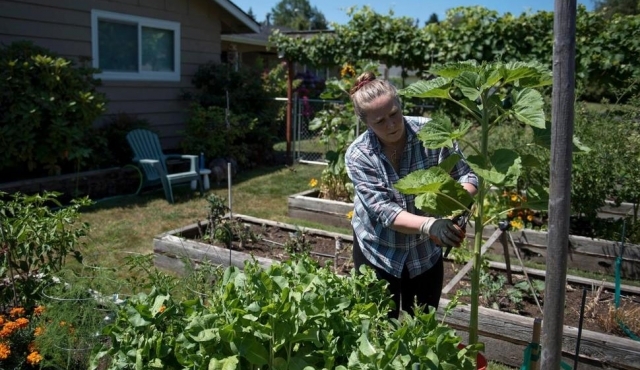 It’s actually got a name all of its own: Ecotherapy! The University of British Columbia’s (UBC), found that taking just a few moments each day to notice how things in nature make you feel will render you happier and improve your overall well-being. (Click her for the study). Nature makes us happy. So how lucky are we at BYC to have that wonderful view of nature 365 days of the year! Last and not least, be kind to yourself and to others. Accepting yourself, they way you look, your personality and all your emotions both good and bad leads to a healthy and happier you. Self acceptance is not easy, but it is worth the work! Being kind to yourself is a large part of the happiness journey, but being kind to others is also an important factor. Not only is there scientific evidence that it ultimately makes you a happier person, but the butterfly effect is real. One good/kind deed can really change someone else’s day and mind set, who can then go on to spread their kindness and so on and so forth. So together we can make 2018 our happiest and healthiest year yet. 5 Reasons To Give Hot Yoga a 2nd Chance! arthritis , and so much more. The raised temperature of the yoga room combined with the specific series of postures (done twice) & Savasanas help to realign your body. Through realigning yourself and learning to work the correct muscle groups, not only can you alleviate existing issues, but also ward off future problems. The yoga promotes the movement of fresh oxygenated blood around the body, assisting and promoting healing . If you have an injury, it is imperative to speak to your doctor/pyhsio/ chiropractor/ therapist etc., to confirm they believe you are in a fit state to participate in this form of strenuous exercise. We would then ask that you arrive at least 20 mins prior to the start of class to fully discuss your injury with BYC staff and your teacher. The yoga can help, but only if we listen to our body and our teachers. Never push into anything that is painful & never alter the postures to suit you. Even if we can only do 1% of the posture, but we are doing it correctly, in the correct alignment, we will see the benefit. 2 – Stress Relief – You wouldn’t often associate sweating for 90 minutes in a room heated to 40C with relaxation, but we are here to tell you Bikram Hot Yoga is a wonderful stress buster! This may not have been your experience from your first class – it was not ours – but we promise, give it a few classes and you will understand what we are talking about! For our full article on hot yoga as an awesome tool in stress relief please CLICK HERE. 5 – Weight Loss – The cardiovascular nature of some of the class, combined with the strengthening effect of all of the postures, can lead to weight loss. However, exercise is only part of the weight loss story, combined with a health balanced diet, and this is where the real results are shown. Warning, if you are a ‘scale addict’: muscle weighs more than fat, so, as you are melting away your fat and building lovely lean muscles, the scales may not change, or they may even go up! However, the results will be obvious in how you feel (and in your clothes!). On this weighty note, we feel it is important to let you know that here at BYC, we believe that being healthy is what is truly important. Whether ’tis nobler in the mind to suffer, t he slings and arrows of a wardrobe malfunction… (sorry Shakespeare). White is not alright: White clothing and sweat simply do not mix well. The sweat of a Bikram class causes most white clothing to go see-through! Women’s Loose fitting shorts: There is a fashion for short loosely fitted shorts for ladies. Unfortunately, during certain postures, these little shorts are not as flexible as you are… Need we say more!? Who likes short shorts… Guys if you have a love of the shorts of the smaller variety, please be mindful that these small shorts are enough in all bikram positions. Underwear: underwear is never suitable as yoga wear (we mean as ‘OUTER-wear’…): l adies’ pants, men’s boxers, non sports bras… none of these are appropriate Bikram yoga attire. If you are looking to update your yoga wardrobe, Shop BYC is now open in studio and online, with new lines & styles being added all the time.Just a little reminder that BYC is an Aerosol free zone, so please refrain from using them inside the building. If you are pregnant, or trying for a baby, it might be a good idea to familiarise yourself with BYC’s pregnancy policy. So, if you are pregnant, first and foremost CONGRATULATIONS!!! Please let the Teachers and Reception Staff know. During the delicate time of your first trimester, we ask you to refrain from practising at BYC. If you are pregnant and have never practised Bikram Yoga before, we suggest that you find a gentle pregnancy yoga class and come to regular Bikram Yoga classes about eight weeks after the birth of your child. If you have had a regular Bikram Yoga practise of no less than one year, before becoming pregnant, please talk to a senior teacher after your first trimester, about resuming regular classes. Any less than this and we would again advise you to find a gentler yoga class, for the duration of your pregnancy. In regards to resuming your Bikram Yoga practice or taking up a practice postpartum, we advice waiting approximately eight weeks after the birth of your child (including C-sections). We ask that you have been signed off by your GP/health practitioner as ready to resume exercise, prior to your first class after birth. If the senior teacher says you are okay to practise, please ask the reception staff give you the modification sheet to take into class with you. In the Pregnancy series, you work for a maximum of 60minutes. hormone called relaxin moving through your body. This hormone will soften your bones and joints to prepare you for giving birth. Therefore, as you will feel more open, it is very important to make sure you do not over stretch and go further into postures then you did pre-pregnancy. Another important thing to be aware is that, as your bump grows to make room, your abdominal muscles move, therefore you have less abdominal support. This, in turn, means less support for your lower back, so go gently. We always recommend that you speak to your doctor and any health workers supervising your pregnancy, about what type of exercise is right for you and your baby. Coming soon to our BYC website, we will have the pregnancy series as a PDF download. Top Tips for a great Bikram Yoga class. With the rise of technology to ‘assist’ us with our every move, we can do more and we fit more into ever minute. We live in a ‘go’ society, a hectic fast-paced world, where we are trying to fit more & more then ever before into our day. So why take a whole 90 minutes out, just for you, your mind & body? Rhetorical question – but that would make for quite a short article, so read on for a few more reasons…! Bikram Yoga has been practiced as a 90 minute series of 26 postures + 2 breathing exercises, for over 40 years. In this time, it has accumulated millions of dedicated practitioners around the world, due to the many physical and mental benefits they have experienced. – a bit of extra time for Helen to forget what posture she’s teaching, for Andy to drop in a Beyonce/Kylie reference or for Fed to crack a joke and wait for his students to get it. Or not. Rest/Savasnana between each posture is an integral part of the Bikram Yoga series. This is where the magic happens: Dead Body Pose facilitates powerful blood flow, then lets circulation return to normal, creating internal cleansing and greatly magnifying the benefits of the postures that precede it. We, also, begin to learn relaxation. This particular 90-minute series of 26 postures + 2 breathing exercises, has been proved to systematically work every part of the body, to give all the internal organs, all the veins, all the ligaments, and all the muscles everything they need to maintain optimum health and maximum function. Each component takes care of something different in the body, and yet they all work together synergistically, contributing to the success of every other one, and extending its benefits.This is why it is so important to give yourself 90 minutes. For you, your body and mind. Not to steal a famous tag line, but… you are worth it! Get the best out of your Bikram and your Body. In Bikram Yoga, we talk a lot about hydration. You all, hopefully, know that to have a good class you need to be well hydrated. This means drinking plenty of water and maintaining your electrolyte balance (see article below for more information). Equally important is to properly feed/fuel your body. You wouldn’t expect beautiful trees to flourish, without sunlight, water and nutrients from the soil, so why would you expect your body to work at it’s optimum, without feeding it the things it needs? The are three primary reasons for students occasionally feeling unwell, nauseous, light headed or dizzy, during a Bikram class: dehydration, mouth-breathing and having not eaten enough. and come to class having eaten a nutritious meal a few hours before! We do advise students not to eat a large/heavy meal less than two hours before class, this is to avoid feeling nauseous during your class. However, if you eat something nutritious a few hours before, when you come to class your body will be ready and you’ll get the most out of your practise. Eating, not only is wonderful, it is also as important as breathing and drinking, so enjoy your appetite for food and life! So, ladies and gentlemen, porridge, bananas, nuts, fish/chicken (not fried), whole wheats, veggies, eggs, hummus, lentils, the genius that is the avocado… to name a few. These are where our pre and post Bikram fuel best lie. Like every aspect of your practise, if you listen to your body and how it is responding, you will be able to hone your preparation and practise to get the best out of it. As everyone’s appetites, digestion and energy levels respond differently to different foods and, very often, we are coming to our practise after busy days at work, we stock protein and fruit bars, chia pods, raw chocolate and superfood sachets at BYC reception, if you need a quick nutrient dense fix! Below is a little article on Hydration for those of you who would like to know a little more about what we mean when we say electrolytes…. Summer time, a time for relaxing on the beach with a cocktail in hand. Well, this is often the dream, but the realties of life don’t always match the Caribbean Island image! And, even if this dream becomes a wonderful reality, it often only lasts a week or two if we are lucky! The little things in life can really add up: the kids are off school, work deadlines are looming, the tube is packed, the air con is busted, the traffic is at a standstill and, before we know it, we are STRESSED! Penelope Cruz: Bikram Hot yoga completely changing body and life.